When it’s your turn to pop the question: “Do you want to be my Maid of Honour”, make it memorable with a DIY Word-Wire-Hanger gift! 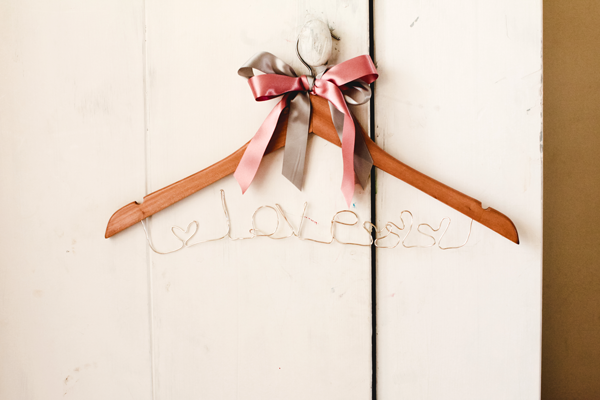 In this first DIY post you can find a step to step guide to create this beautiful personalised hanger. You can shape every word you like to make it personal, I choose the word Love. 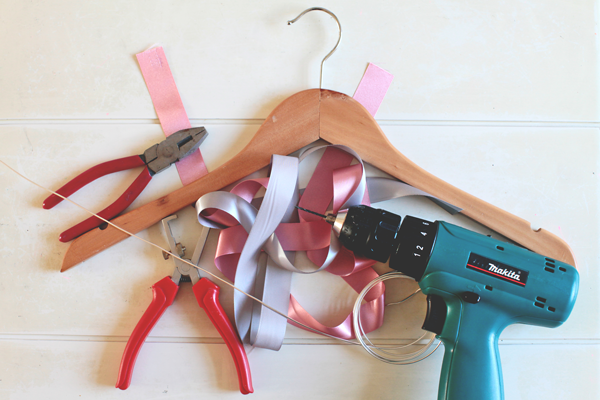 Most items used for this DIY can be found on the High street or in a hobby store and will costs you approximately £4. Unless you choose to use real gold or silver instead of metal of course :). Step 1: Unwind the plated wire in a straight line. Step 2: Before you start twisting the wire in the shape of your liking keep in mind to leave at least 10 cm space at both ends. 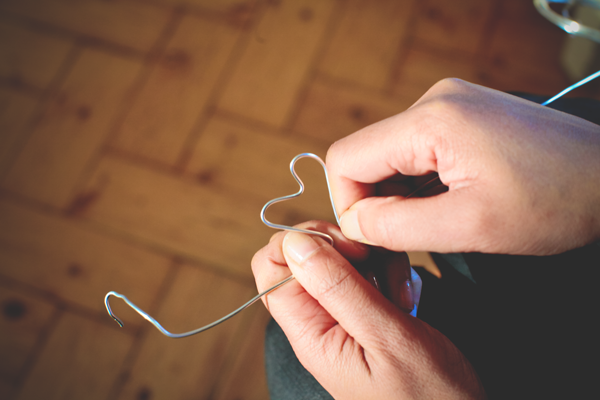 Step 3: Twist the wire in the shape you want it to be with your fingers, or a sturdy item with round edges. 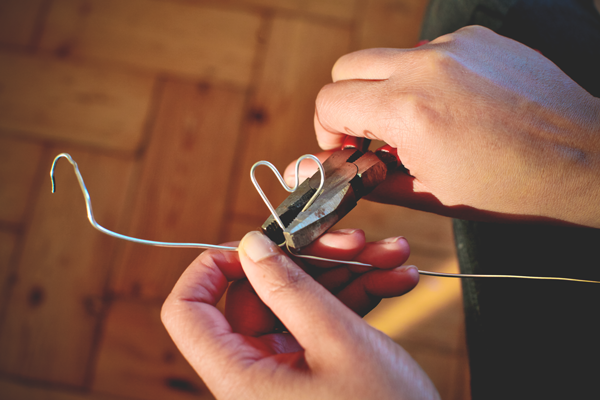 Step 4: To make a heart shape: bend the wire to the left, make a round shape to the right downwards. Make an angle to the right upwards and then a round shape to the left downwards. To let the bottom parts of the heart connect use pliers. Step 5: Leave some space between the letters if you want your Maid of Honour to be able to read what it actually says. Step 6: Always make an angle upwards when you begin with a new letter. Step 7: When you’re finished with the word-wire turn the ends upwards and measure with both ends where to drill the holes in the hanger. Cut the unwanted leftovers of the wire. 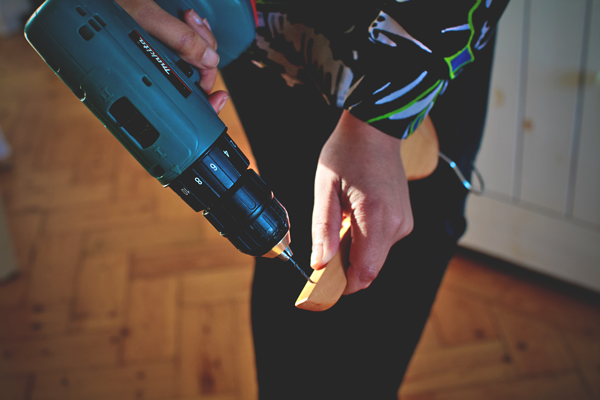 Step 8: Drill two holes with care in the hanger. I do this by squeezing one end of the hanger between my knees and drill in the other end with care. 9: Fasten your chosen ribbon (tulle is a beautiful material to use too) in a bow around the hook of the hanger. 10: Fit the ends of the word-wire in the hanger. You can also use a little bit of glue to secure the wire. And there you have it! A beautiful personal gift for your Maid of Honour. You can also add a tag with a handwritten message. Even if the word isn’t perfectly shaped, this personal gift will make your Maid of Honour know even more how much you appreciate her! Next week I will give you some posing tips, hope to see you then!